Quickly convert different audio file formats. 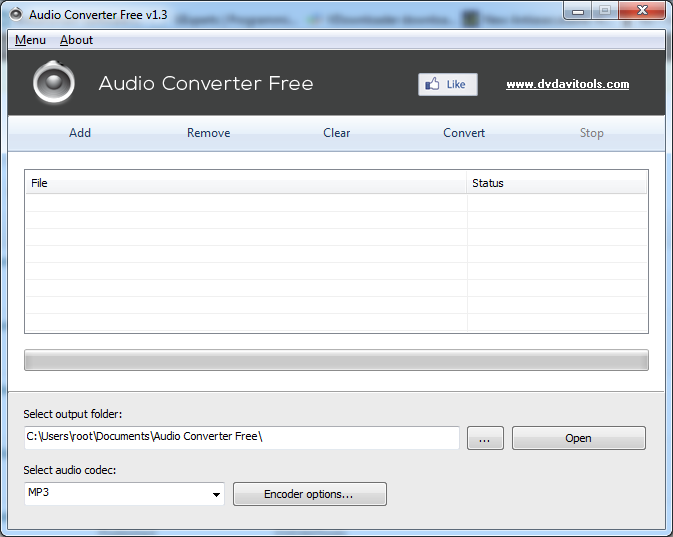 Audio Converter Free is a free software designed to convert different audio file formats, including MP3, WAV, AC3, FLAC, OGG and WMA. Audio Converter Free can also be used to convert a video file to an audio file, in short the application will extract the audio from the video file and convert it to the desired output format. The usage is very easy, just click the button “Add” to select the files you want to convert, click on the button “Settings” to edit the default options (if needed) and then click the button “Convert” to start the conversion.